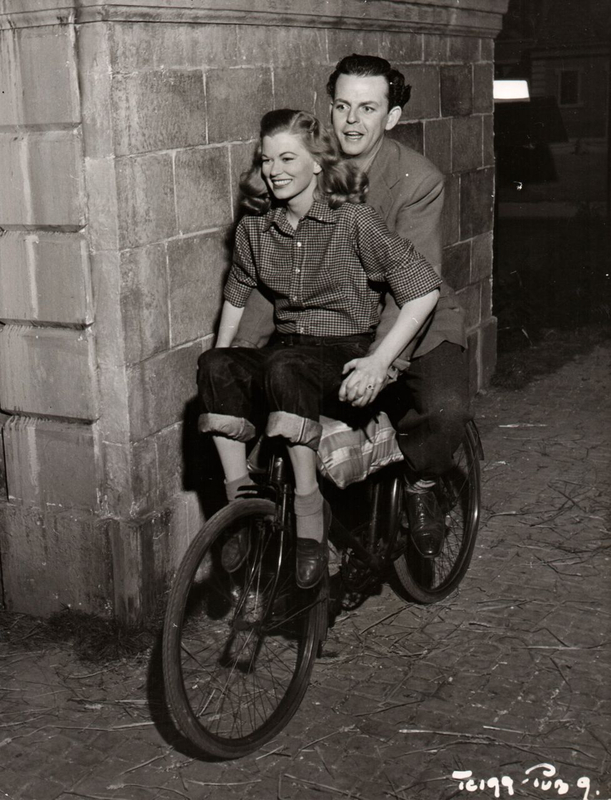 Helen Backlin and David Tomlinson ride a bike. Helen Backlin and David Tomlinson, co-leads in the 1949 British rom-com The Amazing Mr. Beecham (original title: The Chiltern Hundreds), do some ride-sharing around the Denham Studios in Buckinghamshire, England. Backlin is an American heiress, Tomlinson the young Viscount intent on marrying her. Hilarity ensues.